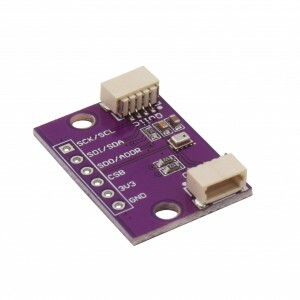 This compact and absolute Barometric pressure sensor is specially designed for mobile applications to measure the Air pressure content in Pascal (Pa), temperature sensitivity in Celsius and the Altitude levels in metres (m). 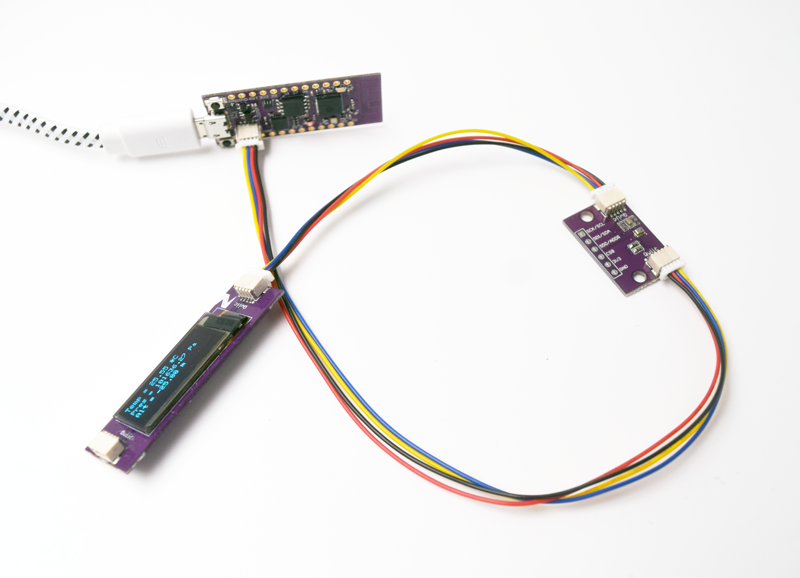 You will always see this sensor to be widely used by most beginner Makers and DIY for their weather forecast projects. 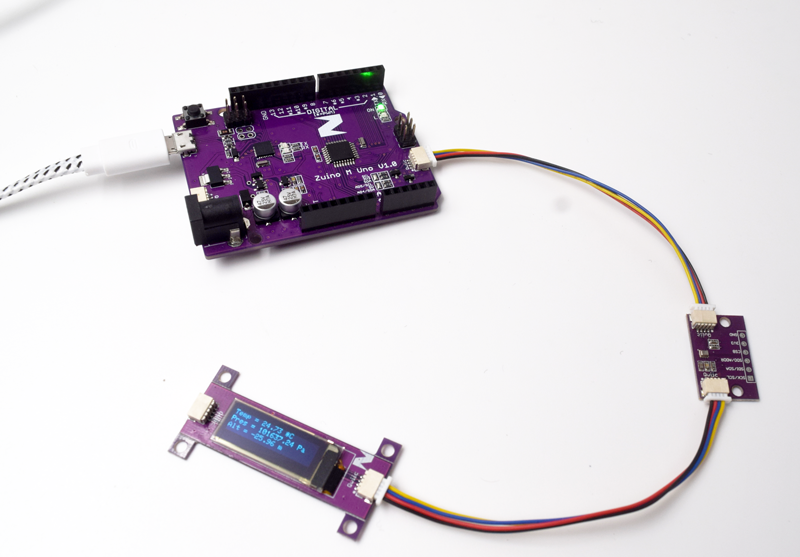 Check out our step by step blog on building your very own simple IoT Weather Monitoring Station! But this sensor is not just for you to build your very own weather station, it is also used in various non-weather applications like GPS enhancement example for slope detection, indoor detection of floor levels (elevation levels), used in sports, and in healthcare applications, for example, spirometry - tool to diagnose asthma, chronic obstructive pulmonary disease (COPD) and other conditions that affects breathing. 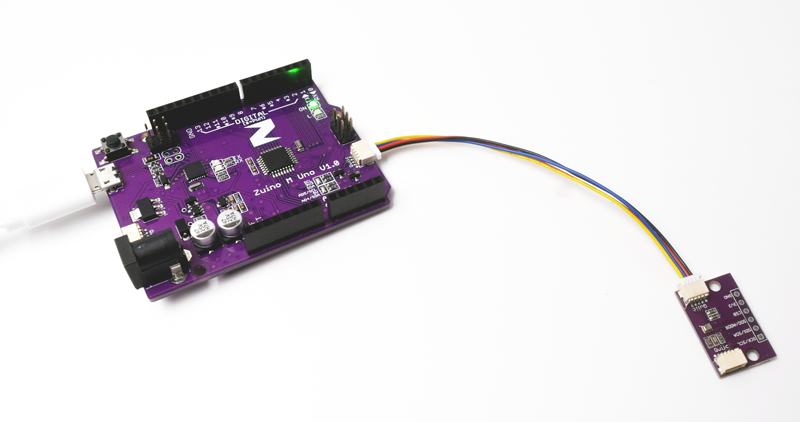 This post will guide you on how to configure our Zio Air pressure Sensor (BMP280) and demo its functionality by testing example codes. 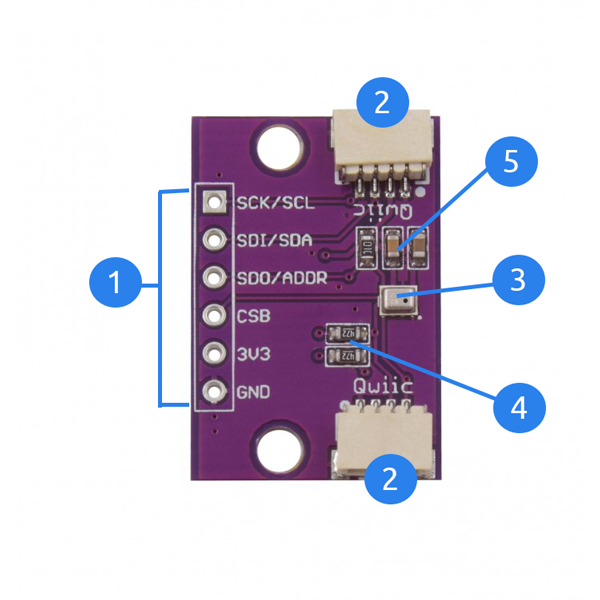 By the end of this tutorial, you will have a basic understanding of the capabilities of this robust sensor and will give an idea to tinker your next amazing project! 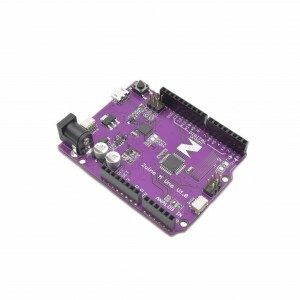 This qwiic start guide works for all our Zio development boards. 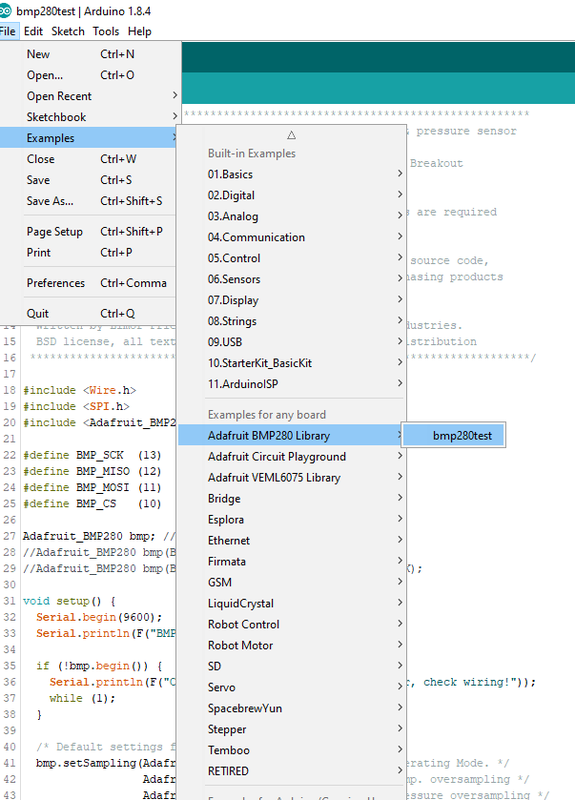 Download and install the Adafruit BMP280 library you have downloaded to your Arduino IDE. Open your Serial Monitor (make sure it is set at 9600) to check the readings. 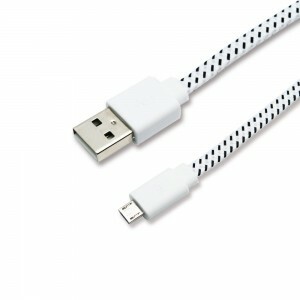 Your sensor will provide temperature readings (Celcius), Barometric Pressure (Pa), and Approximate Altitude levels (m). Open your Serial Monitor (make sure it is set at 9600) to check the readings. Your sensor will provide temperature readings (Fahrenheit/Celcius), Barometric Pressure (Pa), and Approximate Altitude levels (m). Below is the code for testing our UV Sensor with OLED showing basic readings on Temperature (Celcius), Pressure (Pa) and Altitude(m). You can download the demo code here on our github repo. 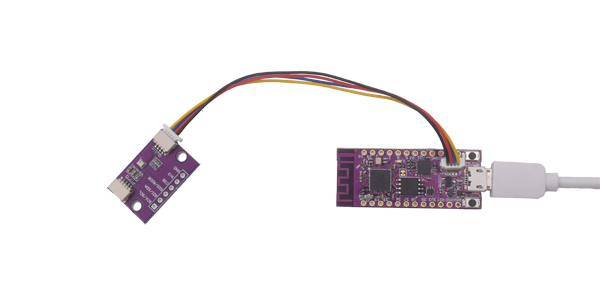 We also post a tutorial on how to connect your BMP280 sensor using IoT platform as an IoT weather monitoring station. Check out the blogpost here!